I think it's pretty clear that I love buying lip products of any sort, whether it be lipsticks,glosses,balms and now pencils! 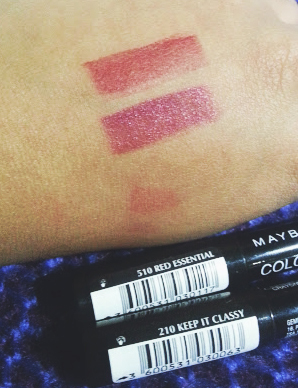 For a few weeks I have been debating over buying these Maybelline Color Drama Lipsticks because they are meant to be 'long lasting, beautiful formula and already amazing'. Of course I fell in for the hype and now a month or so later I am telling you THAT YOU NEED THEM IN YOU'RE LIFE. The 'Drama' bit in the name explains what these are but if you don't have a clue then let me tell you the basics. 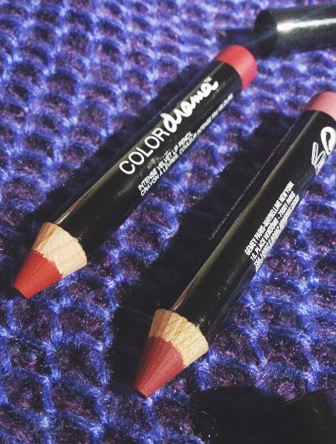 These pencils have super intense pigmentation, with a semi-matter finish and allows you to wear a bold colour with ease and comfort as they last a long time - I'm talking hours. 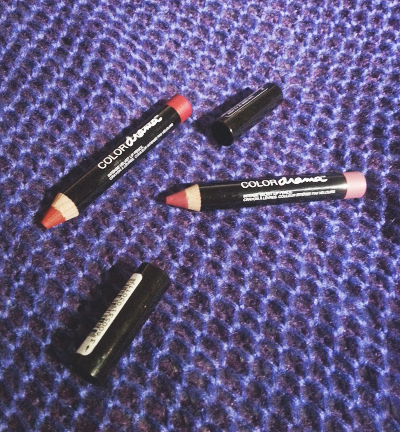 Having a pencil for a lip product makes it much easier to 'paint you're lips' until they get blunt and then you have to sharpen and all that shiz. The two colours I got are a bright ish red and then a deeper berry toned colour and they both look amazing in the day and night. Below you can see how they look my lips and please excuse my mouth. So, in a nutshell...I love them and think that I need to buy some more colours and the brand is always on 3 for 2 so what better excuse! I have the dark plum one in this range and it has definitely been my most worn product last month, need to pick some more up after reading this!